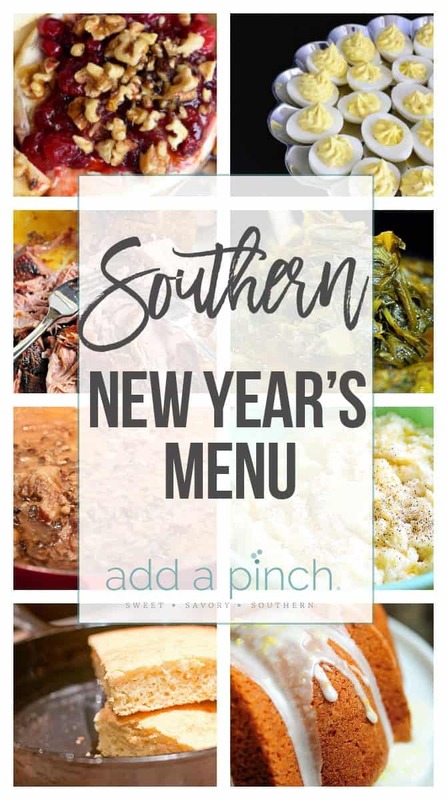 Southern New Year’s Menu perfect for celebrating the first day of the new year! Said to bring money, luck and prosperity in the new year! A Southern New Year’s Menu always includes certain dishes, at least around my house. For as long as I remember, pork, greens, and peas have been part of the New Year’s Day menu in my family. Said to bring good luck for the coming year, it is definitely a tradition I enjoy sharing with my family. Here are some of my favorites to ring in the new year. 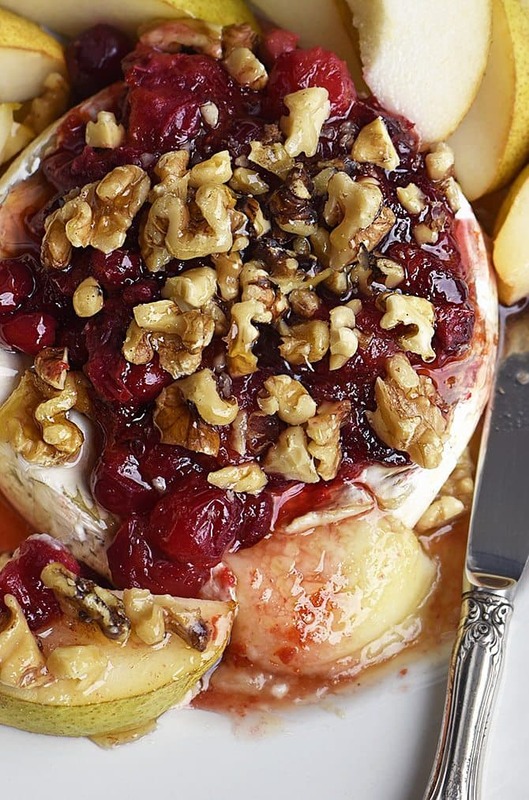 This warm brie with a honeyed cranberry walnut compote makes a quick, easy and delicious start to any meal! 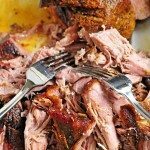 Pulled pork is perfect for serving on New Year’s Day and pulled pork from this pork roast couldn’t be easier. Or more delicious. This recipe uses the slow cooker and is about as easy as recipes can be. Hey, I guess that’s luck right there! If you are looking for something a little bit more traditional for the main item on your menu, you’ll love this Cola Glazed Ham. It’s a favorite. We love turnip greens and collards around my house. They are a definite family favorite and my grandfather always said they represented money on New Year’s Day. You better believe I forced myself to eat them as a little girl that one day of the year. Now though, they are one of my favorite dishes any time of the year. 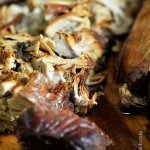 You can easily cook them low and slow on the stove all day, or just pop them into the slow cooker and let it do all the work for you. If you are looking for something even quicker, these Spicy Skillet Turnip Greens are always a hit. 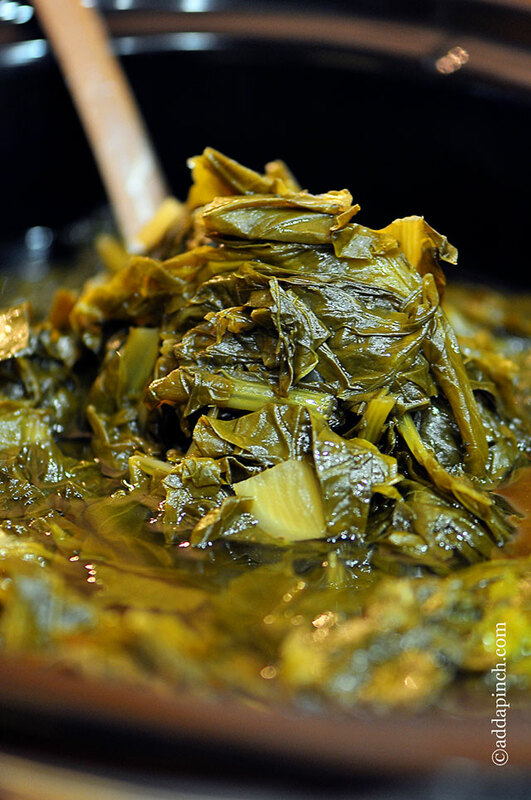 If turnip greens and collard greens aren’t your favorites, you can always switch it up and have brussels sprouts or cabbage. 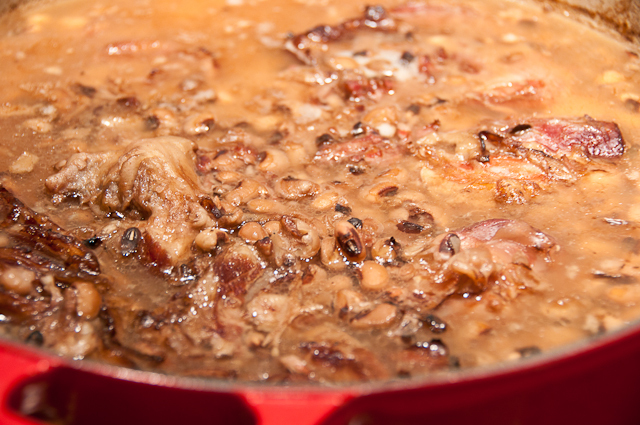 Black Eyed Peas are said to represent coin or change for the new year if eaten on New Year’s Day. 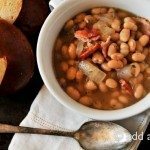 Of course you can cook them the traditional way on the stove with bits of pork for flavoring or toss it all into a slow cooker for slow cooker black eyed peas and let it work it’s magic. 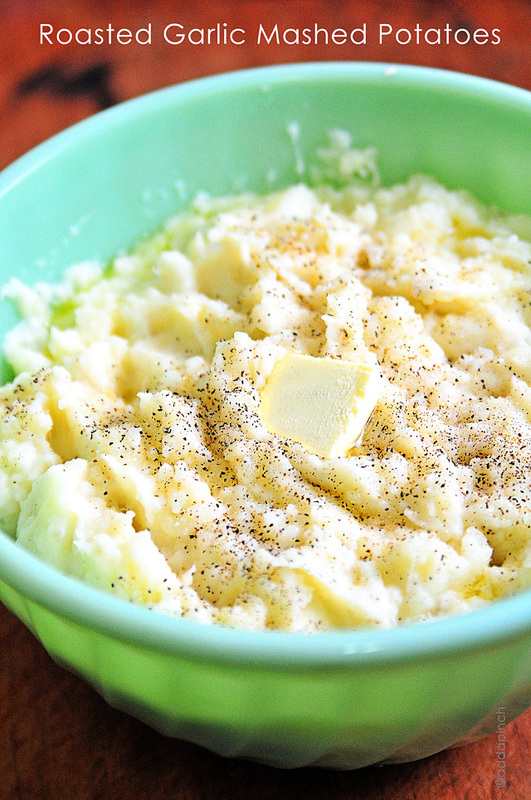 You just can’t have a traditional New Year’s Day meal without including a big bowl of fluffy mashed potatoes. 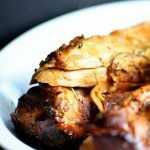 You can easily omit the roasted garlic from this recipe if you prefer, but oh my goodness are they too incredible to miss! Talk about deliciousness!!! 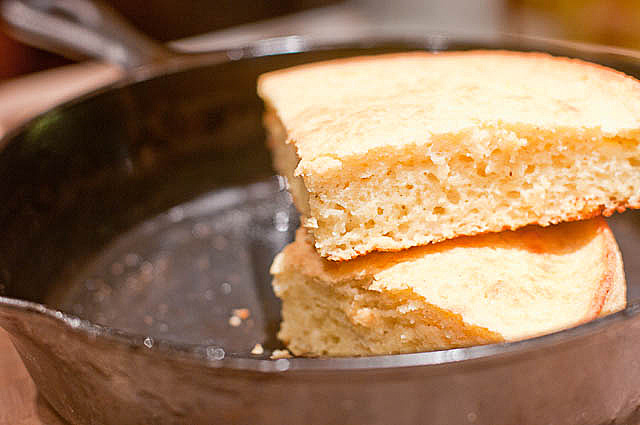 There’s nothing like Southern Buttermilk Cornbread to go with the main players of a New Year’s Day meal. Light, fluffy and just the perfect partner to make sure you don’t miss a bit of the goodness from the black eyed peas or turnip greens. Oh my goodness! 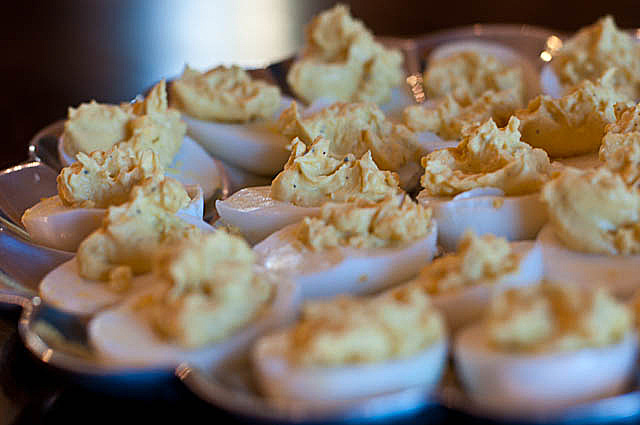 Deviled eggs just round out this New Year’s Day menu completely. You can serve them as an appetizer if you prefer, but I love them as a side dish to enjoy alongside all of the other traditional goodies. I love citrus anytime of the year, but especially when it is fresh in the winter. 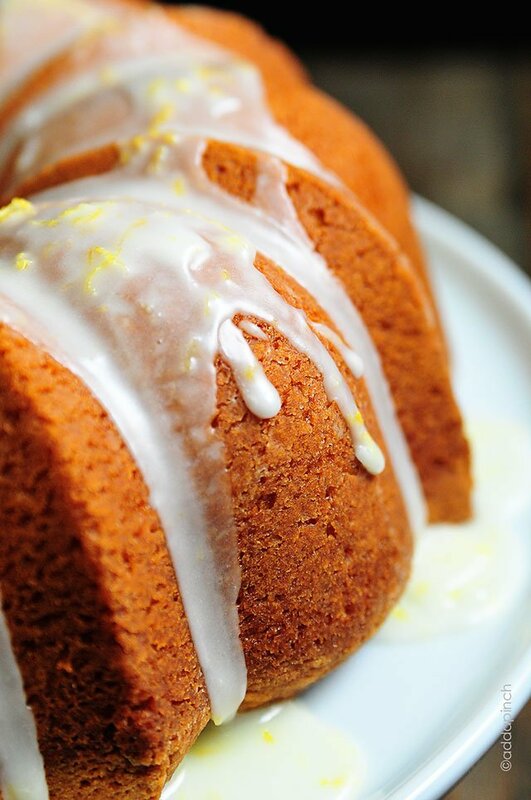 This Lemon Pound Cake is bright and cheerful and perfect for a dessert to welcome in the new. 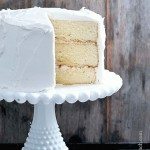 This cake can easily be made ahead for an easy-breezy New Year’s Day. Of course, a traditional Banana Pudding is always a great dessert for the big day and one of true comfort! What are your favorites to serve on New Year’s Day? I’d love to know! My mouth is watering looking at these photos. Most people don’t know this, but I’m a southern girl at heart and I love southern food. Love it. My new Ipad works great! My mouth is watering!! Mmmm….love all of these good southern recipes. That pork looks mouth watering good! What a great meal to start the year out right!!! 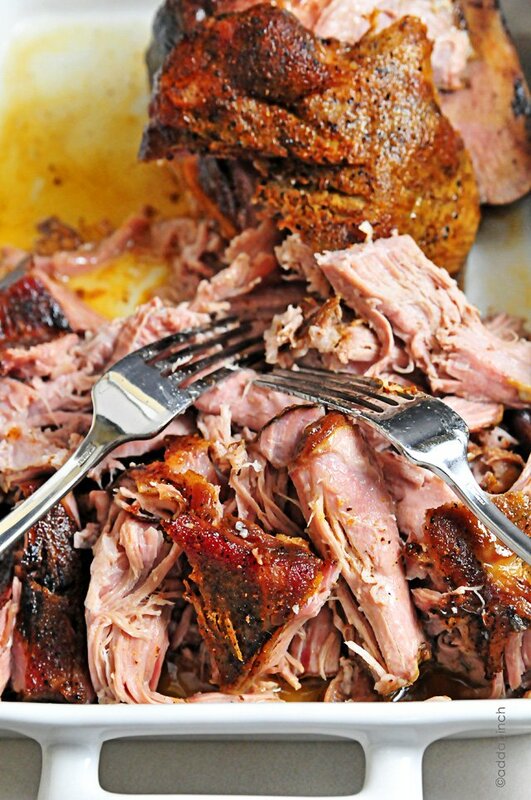 That pork roast looks to. die. for. Happy New Year! No better way to start the year with great comfort food. Yum! What a fun New Year’s menu! Love all the food on your menu! Perfect meal! Happy New Year, and may 2017 be blessed. Your note means so much to me, Linda. Thank you for taking the time to share this with me. I truly appreciate you! Looks Delicious!!! I think all your subscribers are all ready to come to your house! LOL!!! Hey Robyn. Happy New Years! I have to make a correction. We here in the south don’t have turnip greens for New Years, we have cabbage. It is suppose to promote good luck to have cabbage, black eyed peas and corn bread. I don’t eat turnip greens or cabbage so I guess I’m out of luck LOL. But gimme the black eyed peas with bacon tossed in all day long!! 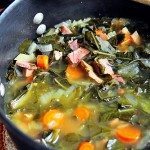 This is Shannon, and we here in the South always do have collard or turnip greens. Have never had cabbage. Shannon, I am from the state of Louisiana, deep south. Tradition states the black-eyed peas bring luck and only eat cabbage because it represents money and if you eat the cabbage you will always have a dollar bill in your purse or wallet. I’m from southern Oklahoma and my menu includes black eyed peas and hog jowl, pork chops, sauerkraut and wieners, turnip greens, cornbread, and banana pudding. We just can’t wait.